Presented here is an alternate rules system for firearms that address some of the more common gripes with the Gunslinger class. The leadership here at Flying Pincushion Games acknowledge that there is some controversy with the rules particularly the “touch AC” rule. Some of us are of the opinion that it ain’t broken, so we did not include it in Into the Breach Gunslinger. That said, the rules here are carefully balanced and well executed. 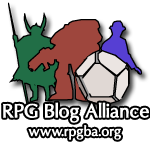 Our editor Taylor Hubler did a fine job and we believe these rules deserve consideration, particularly if your GM doesn’t allow the normal rules and as a player you would like to stick to your guns. Not everyone believes the firearm rules in Pathfinder are balanced, and there is some evidence that this is true. For example, touch attack armor class doesn’t scale in level while the base attack bonus does, and there are some issues with action economy. As a result there are some people looking for alternative rules, which we are providing here. The following places firearms at about the same level as other ranged weapons. The bow is still the king of the full attack, but firearms should out perform them as single shot weapons. This is going to be especially true once the dead shot deed is available. There are wide variety of suggested changes to the rules, but they don’t need to be taken as a whole. GMs should feel free to pick and choose which alternative rules to use with their game. Firearms work differently from other ranged projectile weapons—they instead use the following rules. Firearm Proficiency: Those not proficient with firearms only have a -2 penalty to attack with firearms but take twice as long to reload them. If they reload a firearm, the misfire value increases by 4. Capacity: This works as laid out in the original rules with one exception. If an early firearm has multiple barrels it takes an attack action to fire each one individually. Advanced firearms that have multiple barrels that can be fired together will say so in their individual weapon descriptions. Range and Penetration: Defenses, whether manufactured or natural, provides less of a protection against the force of a bullet at short range. Early Firearms: Those proficient with early firearms treat range increments differently from normal. The first range increment for a one handed firearm gains a +2 to attack, while a two-handed gains a +4, with a cumulative –2 penalty for each full-range increment after that. Thus the second increment for a one handed would have no bonus to attack, the third a -2 penalty, and so on. Early firearms have a maximum range of 5 increments. Advanced Firearms: Those proficient with advanced firearms treat range increments differently from normal. In the first range increment a one handed firearm gains a +4 to attack, while a two-handed firearm gains a +6, with a cumulative –2 penalty for each full-range increment after that. Thus the second for a one handed would have a +2 bonus to attack, the third no bonus, and so on. Advanced firearms have a maximum range of 10 increments. Loading a Firearm: The basics here are the same as the rules already established. Criticals: Change firearm critical ranges/multipliers to 19-20/x3. Double Barreled Pistols and Muskets: For these early firearms, it takes an attack action to fire each barrel. The barrels cannot be fired together in the same shot. With steady aim and a keen eye you are able to make every shot count. Prerequisite: grit class feature or the Amateur Gunslinger feat, Point Blank Shot, base attack bonus +7. Benefit: At 7th level, as a standard action, you can take careful aim and pool all of your attacks potential into a single, deadly shot. When you do this, you shoot the firearm at a single target, but make as many attack rolls as you can, based on your base attack bonus plus any extra attacks you gain from feats, spells, or abilities. You make the attack rolls in order from highest bonus to lowest, as if you were making a full attack. If any of the attack rolls hit the target, your single attack is considered to have hit. For each additional successful attack roll beyond the first, you increase the damage of the shot by the base damage dice of the firearm. 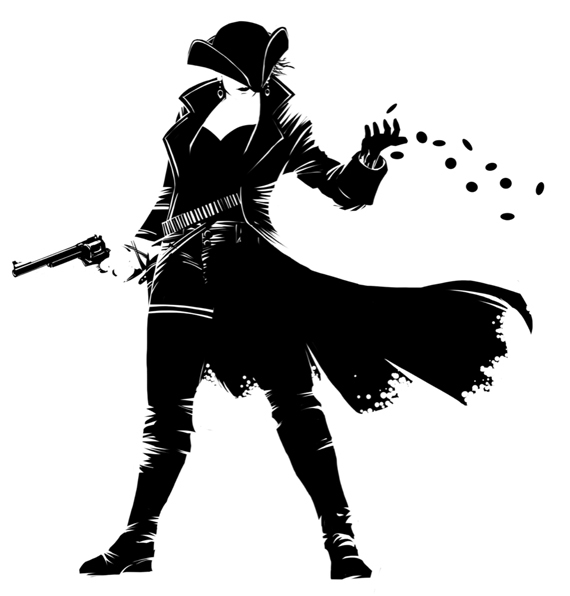 For instance, if a 7th-level gunslinger firing a musket hits with both attacks, she does 2d12 points of damage with the shot, instead of 1d12 points of damage, before adding any damage modifiers. Precision damage and extra damage from weapon special abilities (such as flaming) are added with damage modifiers and are not increased by this deed. If one or more rolls are critical threats, you confirm the critical once using your highest base attack bonus –5. For each critical threat beyond the first, you reduce this penalty by 1 (to a maximum of 0). You only misfire on a dead shot if all the attack rolls are misfires. You cannot perform this deed with a blunderbuss or other scatter weapon when attacking creatures in a cone. You must spend 1 grit point to perform this deed. With greater concentration you are able to really make your shots count, hitting your target exactly where you need to. Benefit: When you use the dead shot deed you can spend more grit to multiply the damage modifier by the number of successful hits with this deed. The cost to use Dead Shot increases to 2 when it is used in this way. You are a master of the single shot, using impressive aim to hit the most damaging locations of your target. Benefit: When you use the dead shot deed you can increase the grit cost to multiply precision damage and extra damage from weapon qualities by the number of successful attacks. The grit costs to use Dead Shot increases to 4 when it is used this way. Instead of having the attacks resolve against touch attacks AC, if you use a full-round action to attack with the dead shot deed you gain a +2 bonus to each attack and a +4 bonus to damage for each success.